In this article, I'll help you review Viparspectra LED light products and give you an honest overview when you should get their LED lights, and which of their products fit best with you. True to what their site promises “…to stay somewhere in the middle with well designed, well-made fixtures, at reasonable prices and no unnecessary extras.” - source, Viparspectra makes the latest LED technology available to small and midsize growers by offering a wide selection direct at inexpensive prices. Viparspectra is a brand marketed worldwide and owned by the Chinese company Shenzhen Bailuo Technology Co., Ltd. 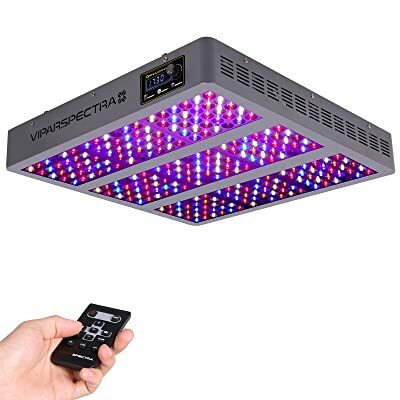 But whether you’re buying just one light or an entire system, Viparspectra bypasses a distributor and will sell to you directly, which is inviting to smaller growers because they’re introducing some complicated and excellent LED grow light systems into the market at an attractive price. Their quick customer service and long warranty and return period are also what interests lots of small and price-sensitive growers in the first place. These explain why if you just get into hydroponics or indoor growing, Viparspectra LED lights are a good value and safe choice. Customer service is a hallmark of Viparspectra. In an effort to build on their reputation with less experienced indoor growers, Viparspectra reaches out with excellent customer service. They’re easy to contact and quick to respond to any inquiry. This is great for the person who is new to LED grow lights and its possibilities. The customer care staff is knowledgeable of what the products do and help you set up the right system for you. The Viparspectra warranty has the customer in mind. They want to make sure that the customer is 100% satisfied by having a no-hassle return or exchange and a generous guarantee. Given the warranty and the ease of exchange, Viparspectra works to bring the best after-sales experiences for their clients. Viparspectra specializes in over a dozen styles of LED grow lights but also carries a limited selection of grow tents and aquarium lights. Regardless of the specific model, all Viparspectra grow lights are equipped with standard features that help simplify use. One great selling point of Viparspectra is that all of their models are full-spectrum designed for complete lifecycle operation at a comfortable price. This is a biggie to the more inexperienced grower who doesn’t completely understand complicated lighting systems. There is no speculation or questions involved here because Viparspectra offers a grow light system that is ready to mount and use without calculations. But Viparspectra has different features with different product lines they offer, namely the reflector series, dimmable, and timer units. Let's have a look at some of the exclusive features of each series. The Reflector series runs from 300W to 1200w, which are average wattage for small- to mid-sized grow light systems. This is the most popular products by Viparspectra with their reflectors helping direct all lights toward the plant canopy. The most popular dimmable series lights run at a PAR450w or PAR600w, again, which are fairly standard. With this product type, you can dim the light intensity output of three channels - red, blue, and white. While they may cost a little more, the timer-controlled models include the dimmable features to adjust light output as default with the greatest convenience of a remote control to manage the system. 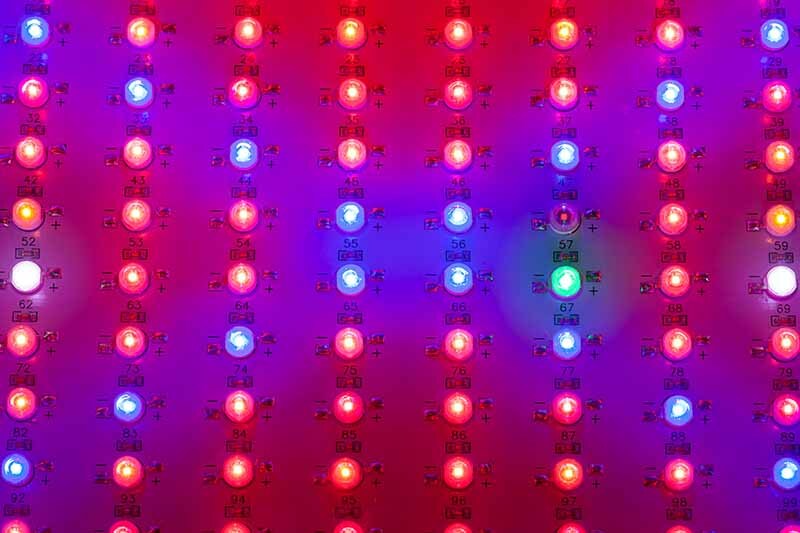 Viparspectra grow lights use a combination of Bridgelux and Epileds which are both well-known LED manufacturers that make quality chips. They offer 12 ranges of spectrums that are all standard. Because Viparspectra LED lights are complete life-cycle lighting units they, can be used for everything from cloning, germination and during the outgrowth process. The same system you’re using in the grow tent can easily be converted for use on the grow table. This at least means that the grower doesn’t need to constantly second guess themselves every step of the way. Let’s take a closer look at some specific Viparspectra models. This is as basic of a grow light unit as you probably will find but running for the unbelievable low cost. The value is definitely there. Measuring at 12.6 X 9.3 inches, the R300 is a very small unit which is great for the small weekender application but certainly would not be practical for potentially serious operation. When we’re looking at only 60 LEDs with a plant coverage at 2 X 2, you can see this is a small unit with somewhat limited use. But look at the incredible lifespan at 100,000 hours which means for the ultra-small apartment grower, a couple of these simple units are going to serve you well for a very long time. For the small investment involved, the R300 is a bargain and will probably be the only lighting unit you’ll ever need to purchase. Recommended coverage: Vegetative - 2x2ft at 24"; Flowering - 1.5x1.5ft at 18"
The dimmable DS300 doesn’t measure in much larger than the R300 at a 14” length and again, is intended for the urban micro-grower or hobbyist. But for a dimmable LED reflector model that doesn’t cost a fortune, it’s a real deal. The Viparspectra DS300 is a complete unit with everything you need to get it up and running within minutes. This is a great unit for the weekender or the parent who wants to get the kids fired up about hydroponics. The DS300 is just the perfect, affordable starter unit that anyone can upgrade from as a starting point. Viparspectra doesn’t just handle small grow light systems and the PAR1200 Dimmable Series 1200W is perfect for the midsize grower. Viparspectra doesn’t just handle small grow light systems and the PAR1200 Dimmable Series 1200W is perfect for the midsize and more serious growers. If you’re taking this to the next level of a midsize hydroponic grower, the PAR1200 will have you up and running in no time. Like all Viparspectra products, the PAR1200 is a complete, ready-to-use unit. It boasts 2 dimmers 12-Band Full Spectrum for indoor plants and both vegetables or blooms. This unit is a large 19.7x17.3x3.5 inch product which makes it a more practical unit for a larger operation. However, it is a much heavier 27 pounds that will have to be kept in mind while hanging. At 240 LED 5w diodes, the PAR1200 is considerably larger than the previous models, and Viparspectra site maintains that this is one of their hottest products. The package still includes all hangers and hardware. This is the largest unit Viparspectra offers. The VT1350 covers an astonishing 5 x 5 feet growing area and replaces 1000w MH/HPS systems. This is the ideal, affordable upgrade for a serious grower who doesn’t want the headaches of designing your own system. This is a complete unit which is suitable for all phases of plant growth and draws 650w max. However, the site doesn’t state the weight of the VT1350, but like all other Viparspectra products it comes as a complete package which includes all hangers and hardware. The unknown weight factor could be an obstacle, placing limitations on hanging options. That is definitely something the potential buyer is going to want to find out from the company before the purchase. A timer automatically turns the light on and off each day the dimmable feature means that the light can be started with low power and gradually increase. The Spectrum series is the Viparspectra top of the line and suitable for commercial or cannabis growing use. Comes with some convenient features like dimmable output, and timer-control. Should I use Viparspectra LED grow lights? Viparspectra lights are great for the beginner or smaller growers but don’t offer the flexibility of more sophisticated LED systems. If you’re just starting out in hydroponics, Viparspetra grow lights are ideally designed for the beginner. These are simple grow lighting systems that even a 12-year-old can figure out and easily use. When you’re looking for a complete system that will get your operation off the ground, Viparspectra is well suited. These are complete packages that set up in minutes without the stress of guessing your way through the process. A long warranty period of their products also ensures a safe feeling for budget growers as well. They also offer enough sizing and wattage options that enable the products to grow along with your own indoor gardening operation. The downside to the brand is that what you see is what you get, meaning, there isn’t the room or flexibility to do anymore with the light systems. This can be really restrictive for large growers who need lighting systems that are more highly adaptable. But for the person who is just starting off or for the weekend, small to midsize hydroponic growers, Viparspectra will serve well.